The following describes in step-by-step detail the process of applying to join the NEEDS community and - if selected as a donor - preparing for and becoming an egg donor for aspiring parents who select you. It is also preferable that you have a college degree - or are pursuing a degree. Note that if you have had your tubes tied, this will not interfere with the egg donation/retrieval procedure. To join the NEEDS egg donor program - and to help aspiring parents make an informed selection of their ideal egg donor - you must complete a comprehensive online application/questionnaire, which includes detailed questions about you, your health, and your family background. This questionnaire should take roughly 45 minutes to an hour to complete online - though you may need to stop while completing the application to find out certain information (for example, your grandmother's natural hair color!). We also ask that you provide several personal photographs (if available), which should be in a digital (electronic) format allowing you to easily upload the photos to the NEEDS website. (If you do not have digital photographs handy, you can take photos of your printed photos using your smartphone and email them to NEEDS for uploading to the site.) You are required to provide two photos showing your face and shoulders as well as two full-length photos of yourself. It also is extremely helpful to aspiring parents if they can see a few photos of you as a baby and as a child, as well as photos of your children, if you have any. If you decide to apply for NEEDS' program, please review our photo requirements document for detailed instructions before submitting photographs. Your completed application - except for your name and other confidential identifying information - and your photos will be seen by aspiring parents searching for someone of your characteristics. To join the NEEDS community, you also must electronically sign consent documents with NEEDS indicating your willingness to become an egg donor, acceptance of the compensation offered if you are selected and have the opportunity to make a donation, and agreement to allow aspiring parents to review online your photographs and your application (again, you remain anonymous - your last name and identifying information will not be revealed to aspiring parents). NEEDS will review your application to pre-qualify you as a donor, and may also conduct a telephone interview with you. We also must receive your electronically signed Consent Documents. Once pre-qualified, you will be notified via e-mail of your acceptance into the NEEDS community as a prospective egg donor. Your application and photographs will then be available online, in a secure location on the NEEDS website, for review by registered aspiring parents whose online donor search indicates that you offer the characteristics they seek in an egg donor. Donor selection is an extremely subjective process. Aspiring parents typically look for a donor whose physical characteristics and ethnic background are similar to theirs. But they also may seek donors with certain educational or career backgrounds, or search certain unusual characteristics. Therefore, there's no guarantee of when you will be selected as a donor. It is possible you could be chosen in one week, one month, or one year from the time you complete your application and have been accepted into the NEEDS egg donor program. Once you are selected by the aspiring parents, you will be immediately contacted by NEEDS to notify you of their interest and to reconfirm your availability and your willingness to be an egg donor at that time. 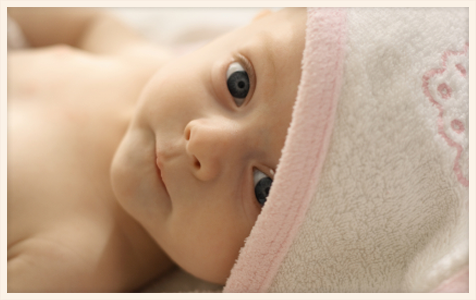 You will also be given the name and location of the fertility clinic that will conduct the egg donation process. Becoming a donor takes time, effort, and energy - the hopes and dreams of aspiring parents are depending on you - so it will be extremely important that you are fully committed to complete the egg donation process. Once you are chosen as an egg donor, you will follow the protocol of the medical facility chosen by the aspiring parents. Typically, NEEDS will contact you to schedule a preliminary interview with medical facility. During this interview, you will be asked about your medical and family history. The program and drug administration will be described to you in greater detail. Most medical facilities require you to take a psychological test (MMPI) and meet with a mental health professional to discuss the emotional issues involved with egg donation. Tests will need to be taken to appraise your health and for sexually transmitted diseases such as HIV and some infectious diseases, including hepatitis. The interviews and tests will be conducted at no cost to you. If you are healthy and your tests are negative, you will begin the process of egg donation - which takes approximately three months. A woman's ovaries normally release one egg per cycle during ovulation. To be able to retrieve more than one egg from a donor's ovaries, fertility drugs are used. You will be administering to yourself daily injections of the following: Lupron, Pergonal, Metrodin and Humegon. One or a combination of these fertility drugs will be given for about two weeks. This means daily morning visits (for approximately 10 days) to a medical facility for blood tests and, typically, four ultrasounds. Most donors do not have side effects or problems, but some do experience bloating, enlargement of ovaries and ovarian cysts. As your eggs mature, their development will be monitored by blood hormone levels and transvaginal ultrasounds. This means daily morning visits to a medical facility for blood tests and, typically, four ultrasounds. The best effort will be made to find a lab near you. When the doctors determine that the eggs have matured, an injection of HCG is administered to trigger ovulation. About 36 hours after the injection, the eggs will be retrieved from you by transvaginal ultrasound. Usually general anesthesia is not given, but a mild sedation is used to relax you. The procedure lasts approximately 30 minutes and is considered by many not to be painful. NEEDS and the medical facility you work with will honor the confidentiality and anonymity of you as well as the aspiring parents who receive your donated eggs. The identity of the recipient couple will not be revealed to you. Upon retrieval of your eggs, NEEDS will compensate you with an honorarium of $6,000 for your time, inconvenience, effort, and personal expense incurred as a result of donating your eggs. Register Now to become an Egg Donor.